The Pueblo Project team is made up of educators, activists and builders with a focus towards empowering women and youth in community, utilizing environmentally sustainable materials, and educating about safer and healthier building practices. Liz has been a hands-on learner all of her life. In 2004, with earlier background in carpentry, she began to focus on natural and earthen construction: straw bale houses and timber framing, natural plasters and earthen floors, and cob and adobe construction. 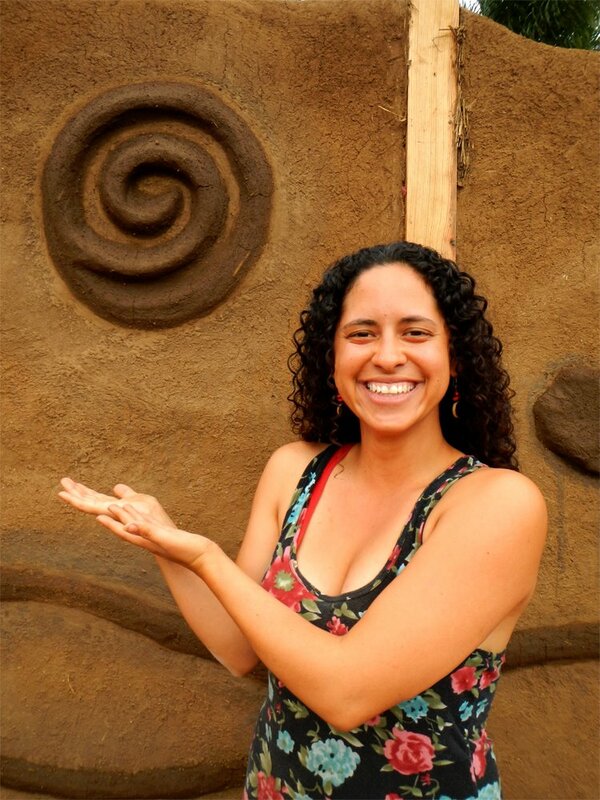 She founded her business, Earthen Endeavors Natural Building, in 2009 and launched the Pueblo Project in 2014, formalizing the work she had been doing in Nicaragua since 2011. Liz works on homeowner building projects large and small, teaches natural material-based building skills in work-shops and apprenticeships throughout the US and Central America, and is a frequent presenter at international development and natural building conferences. She has worked with organizations such as Yestermorrow Design-Build School in Waitsfield, Vermont; Red Feather Development Group in Flagstaff, AZ; Community Rebuild in Moab, Utah; and Kleiwerks International in Asheville, NC. Fabi was born in Guatemala. She is committed to work on social and environmental projects around Central America. Since she first experienced Natural Building she discovered a new world and immediately fell in love with the concept, the process, the endless possibilities to create and most importantly, the positive impact that has on people, communities and the environment. 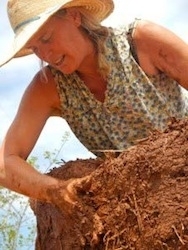 She has taken part in natural building and permaculture projects around Guatemala, Nicaragua, México and Costa Rica. She currently works for Habitat for Humanity Guatemala and has been supporting the on ground and administrative teams for The Pueblo Project since 2015. Based out of Oregon, Sara has been having the time of her life carving her own unique path as a natural builder passionate about housing rights and affordable homes for all. She got her start as a builder working on trails throughout the country and dabbling in conventional construction, but after discovering natural building through a sustainable education institute called Aprovecho in 2014 she has been focusing on honing her skills in mud. Sara now works as a builder and educator, and in the summer of 2017 will be co-leading the construction of the only natural building to be built as a part of a new urban affordable income tiny home village in Eugene, Oregon. She is so grateful to have gotten the chance to help on the ground with the Pueblo Project in Nicaragua for the 2017 season, and can't imagine a better team to be working with! Sara also loves chainsaw carving, exploring wild places, and her geriatric dog Augie. After spending many summers working with her carpenter-father, and receiving a bachelor's degree in early childhood education like her teacher-mother, Kate has forged herself a sort of odd but lovingly tromped pathway that allows a bit of footwork in both fields. She has taught kindergarten in Massachusetts, spent 3 years creating a garden-based Outdoor Classroom program at an elementary school in San Francisco, and currently works as a natural builder and carpenter out of Oakland, CA. She is passionate about justice and equity, loves regenerative systems, earth plaster, encouraging people to get mud on their hands, and to find their hidden capabilities. The Pueblo Project's work to support communities in their own efforts to maintain and enhance traditional building practices and to put those skills into the hands of women and youth, is one that has been easy for her to get behind. She has worked with the organization since 2015.